It was a day of statements, with Alabama emphatically proving they belonged in the playoff and Georgia delivering a classic 2OT win. But no statement was louder than Central Florida’s 34-27 win over No. 7 Auburn, and UCF’s players and coaches weren’t shy about making the subtext text. Head coach Scott Frost, who’s now on his way to Nebraska, accused the committee of a “conscious effort” over the course of the season to make sure UCF didn’t sneak into the Playoff. “It wasn’t right. I was watching every week, the committee sitting in a room and deciding this two-loss team must be better than UCF because UCF is in the American. Or this three-loss team must be better than UCF. 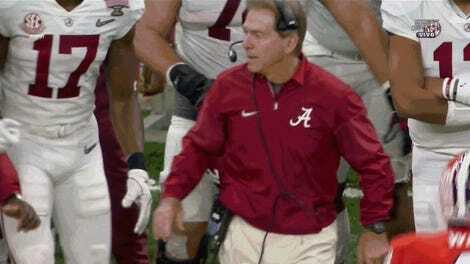 At least until Auburn, who they beat convincingly. And there’s the problem—we don’t know, and the committee certainly doesn’t know, if an undefeated Group of 5 team can beat an elite team until they play one. And if that only happens for the first time in a bowl, it’s too late. There’s recent anecdotal evidence that the Group of 5 powerhouses do belong with the big boys. Of the four Group of 5 teams to earn spots in New Year’s Six bowls in the last four years, three have won. So maybe UCF could have hung. But who exactly was supposed to be left out of the College Football Playoff in UCF’s place so we could find out? No. 4 Alabama? No. 3 Georgia? No, the only good answer here is also the obvious one: expand the playoff. 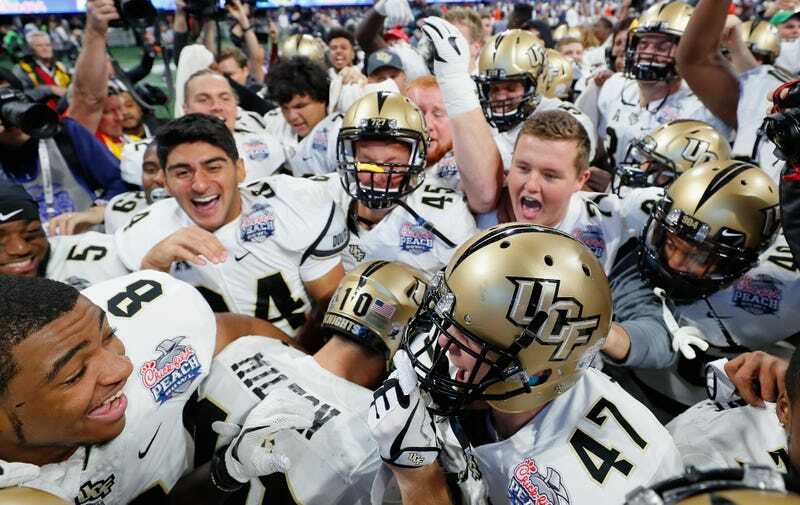 Make it eight teams, a field large enough to guarantee spots for Power 5 conference champions and ensure that any unbeaten team like UCF will have a chance to prove itself. And I really, really don’t want to hear the complaint that expanding the field will result in the same issues with the last spot, because no one truly gives a crap about debating the ninth best team in the country.